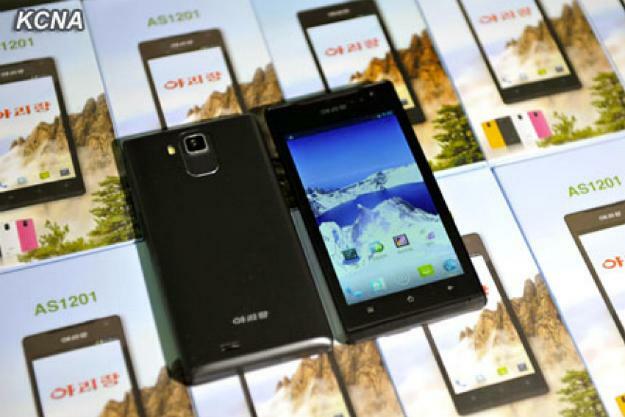 For a country not famed for its technological sophistication (OK, let’s forget for a moment that it appears to have developed a nuclear warhead), it may come as a surprise to some that North Korea has been working on its own smartphone, apparently powered by Google’s Android OS. Pictures released by the Korean Central News Agency (KCNA) show leader Kim Jong-un touring a factory in the reclusive country where the handset, reportedly called the Arirang, is being assembled….or more likely, boxed. 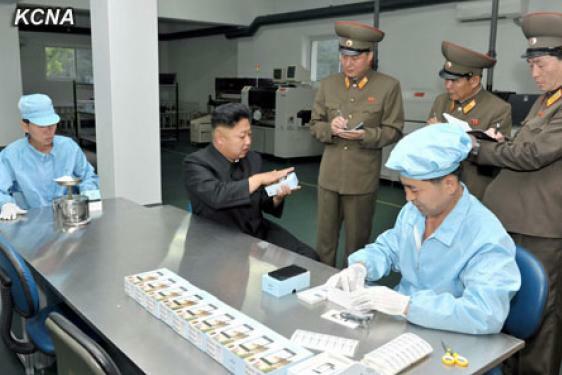 As North Korea Tech’s Martyn Williams points out, none of the images show any actual manufacturing taking place. Little is known about the specifications of the Android device other than it incorporates a touchscreen with “high pixels”. Of course, in a country where the leadership tightly controls the dissemination of information, one has to wonder how many of its citizens will have an opportunity to own the Arirang. Even if they do, what are the chances of it connecting to the Web? After all, of its 25 million citizens, only a select few are believed to be allowed to use the Internet. On a visit to the country in January, Google chairman Eric Schmidt urged the secretive state to become more open and give its population freedom to access the Internet or face more hardship. “As the world is becoming increasingly connected, their decision to be virtually isolated is very much going to affect their physical world, their economic growth and so forth,” Schmidt said at the time. In a speech at the start of the year, Kim said he was keen to see his country develop its science and technology capabilities to help improve its weak economy, although it’s probably a bit premature to believe the Arirang could be about to take on the likes of the Galaxy S4 or iPhone. Probably best to wait for the second iteration.